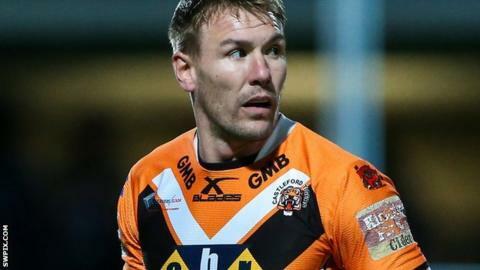 Castleford Tigers captain Michael Shenton has signed a new three-year contract extension to keep him at the club until the end of 2019. Centre Shenton, 29, scored 14 tries in 27 Super League appearances last season. The England international is in his second spell with the club after rejoining from St Helens in June 2012. "I'm absolutely delighted, and I'm really ambitious and excited to be part of this team" said Shenton.